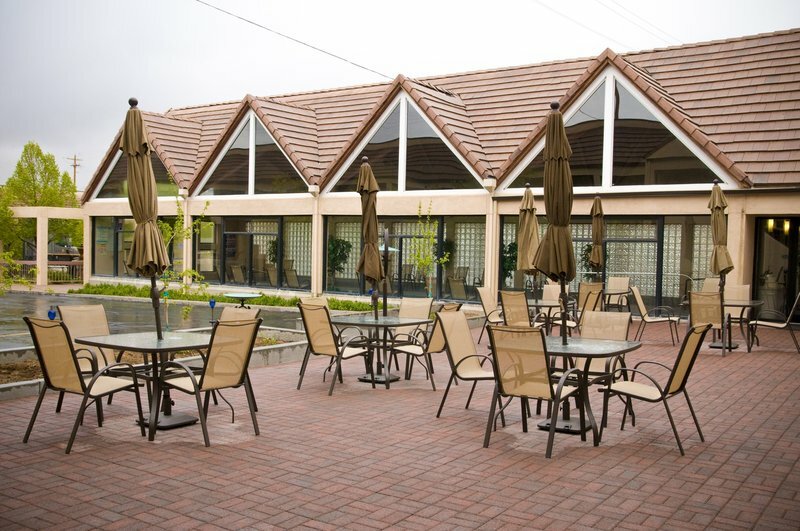 Check Rates & Availability at BEST WESTERN Town & Country Inn! Welcome to the Best Western Town & Country Inn! Recipient of the 2015 Chairman's award and inducted in the 2015 TripAdvisor Hall of Fame! Many guests at our Cedar City hotel flock to the area for the famous Utah Shakespeare Festival. Moreover, many visitors to the area explore the stunning vistas, parks and mountains. Zion National Park is filled with hiking and mountain biking trails, while Bryce Canyon National Park is a favorite for nature photographers. Brian Head Ski Resort is the place to be in the winter, and guests at our Cedar City hotel count on the warm, comfortable rooms we offer after a day on the slopes. Cedar City, Utah is a charming town where recreation, hospitality and great dining are in abundance. Even if youre just passing through, youll be drawn to the simple appeal of the area. Our great location right on Main Street close to the Cedar City Regional Airport makes it easy to get around the area. Room amenities are top quality and we offer a great price for value. We offer a free full hot breakfast every morning and the large size of the rooms means theres plenty of space to bring your gear, whether its your mountain bike or snowboard. Our downtown location is amidst shopping and restaurants, many of them within walking distance! Hiking and cycling are a way of life in this region, and the outdoor entrance to most rooms greatly reduces hassle with luggage and gear. The friendly staff members of our Cedar City hotel are happy to provide advice on everything, from where to eat to licensing for state park requirements. No matter what brings you to town, you deserve to be comfortable and treated like family. We prioritize hospitality here and are committed to making sure you enjoy your stay. Book your room at the Best Western Town & Country Inn today and enjoy a fantastic stay! Enjoy your stay! The hotel no longer has an outdoor pool. However, our indoor pool is open year-round. From: Highway 56 Take the second exit to Main or Bus Loop I-15 downtown to Inn. The Best Western Town and Country Inn is located one block north of Utah Highway 14 on the left hand side. From: Las Vegas Follow I-15 north to exit 59 for UT-56 toward Cedar City, turn left onto UT-56 E/W 200 N. Hotel is located 1 mile down on the right at the intersection of North Main Street. From: Salt Lake City Follow I-15 south to exit 59 for UT-56 toward Cedar City, turn right onto UT-56 E/W 200 N. Hotel is located 1 mile down on the right at the intersection of North Main Street. From: St George Follow I-15 north to exit 59 for UT-56 toward Cedar City, turn left onto UT-56 E/W 200 N. Hotel is located 1 mile down on the right at the intersection of North Main Street. Hot tub - Hot tub Our indoor jacuzzi/hot tub is open year-round from 8 AM to 10 PM. Pool - Indoor pool Heated Our indoor heated pool is open year-round from 8 AM to 10 PM. Playground - Children's activities Indoor pool is available year-round! Children's activities are held year-round in Cedar City, please contact the front desk for more information. Playground and library are within walking distance from the hotel.